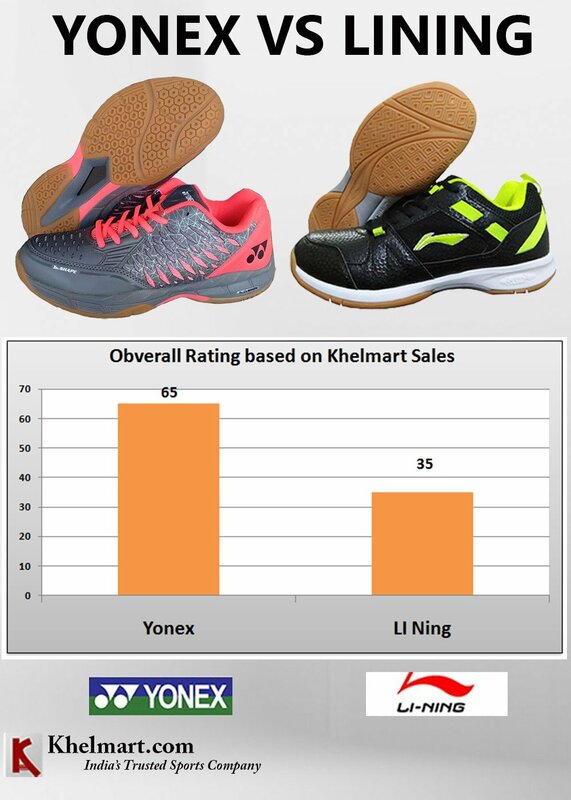 YONEX VS LI NING Which Brand Badminton shoes is better | khelmart Blogs | It's all about sports.. It is always a topic of debate “Which brand shoe is better”. Sales data of khelmart , as we listed both brand shoes on khelmart.com, so based on sales volume we will be able to find out the most selling brand on khelmart. So based on sales data we can find out the better brand on footwear’s. of the two brands. 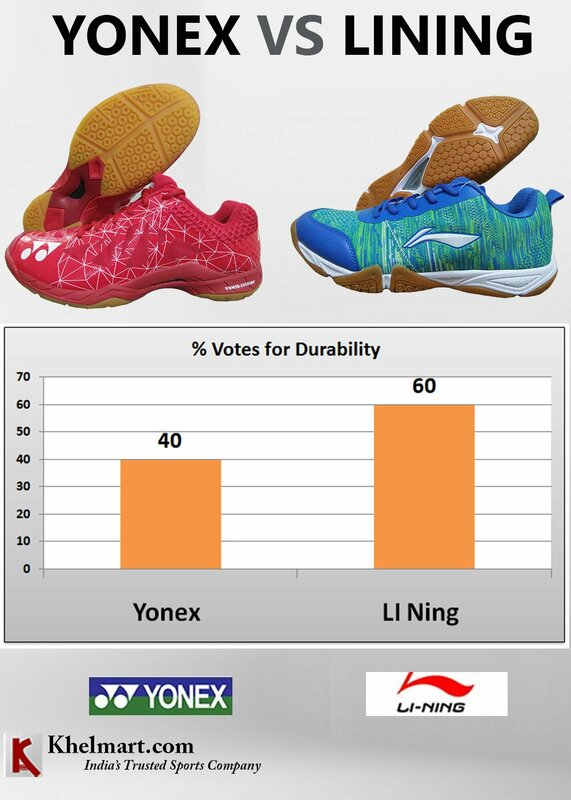 Lots of players like the Li Ning brand for its durability while other like the cushioning of Yonex brand. 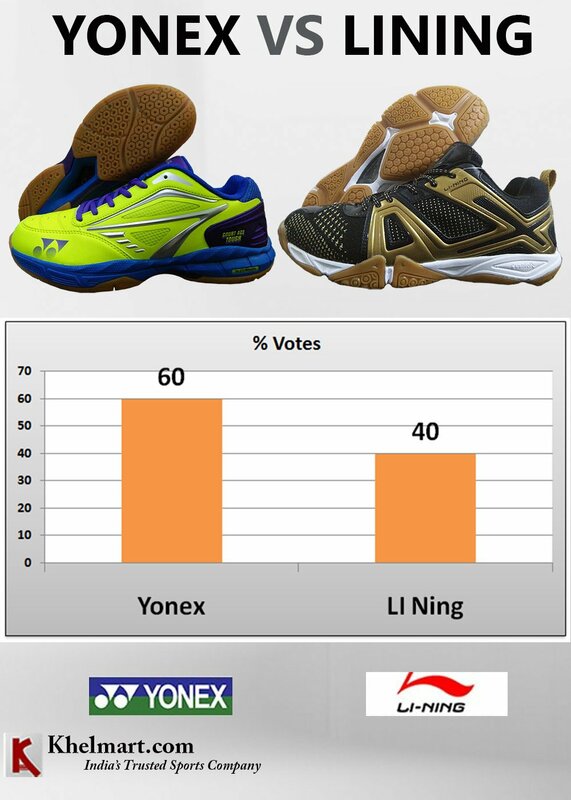 By compiling the results we found that, 60% player like the Yonex brand while 40% layers like the LI Ning Brand. As a comparison, we can say technology wise, both the brands looks same on technology on cushioning. 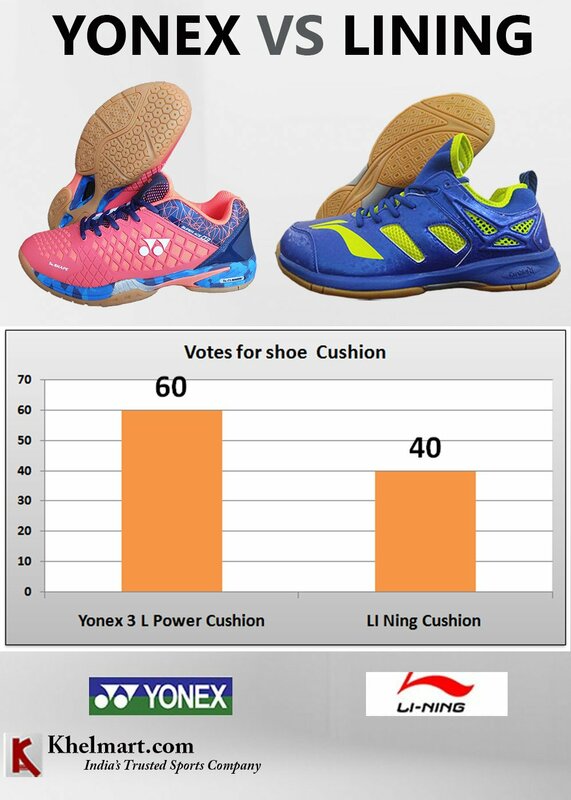 However, Yonex Power cushion technology is known for better cushioning.